I am currently analyzing a point pattern in R using the "spatstat" package. My analyses are primarily exploratory, as I do not have any strong reason to suspect either clustering or regularity, though either might feasibly occur. My goal is to first determine if the pattern is characterized by complete spatial randomness, and if not, attempt to characterize whatever heterogeneities might exist. One important note: the borders of my observation window are not arbitrary and have biological significance, and are of irregular shape. Points do not and cannot exist outside of the borders. As such, I am working with a "Small World Model" described in Baddeley's "Spatial Point Patterns: Methodology and Applications with R". I first calculated the L function without any edge correction from the observed pattern and compared it to a homogenous Poisson process using simulation envelopes. I also visually inspected the intensity of the point pattern using non-parametric kernel estimation. I also ran a Hopkins-Skellam Index test on this point pattern with hoptest <- hopskel.test(f9, method = "MonteCarlo", nsim = 999). 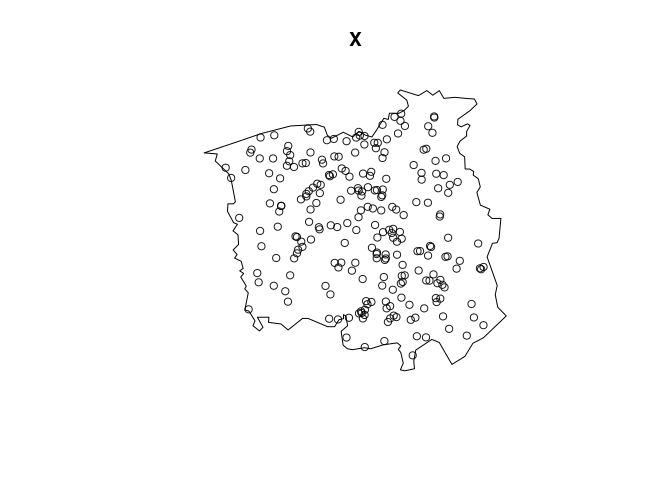 The test indicates clustering (A = 0.74) with p-value = 0.018. I am now confused by these results and have a couple questions. QUESTION #1: Does the "Small World Model" violate any assumptions of the Hopkins-Skellam Index that might cause such a test to spuriously suggest clustering? 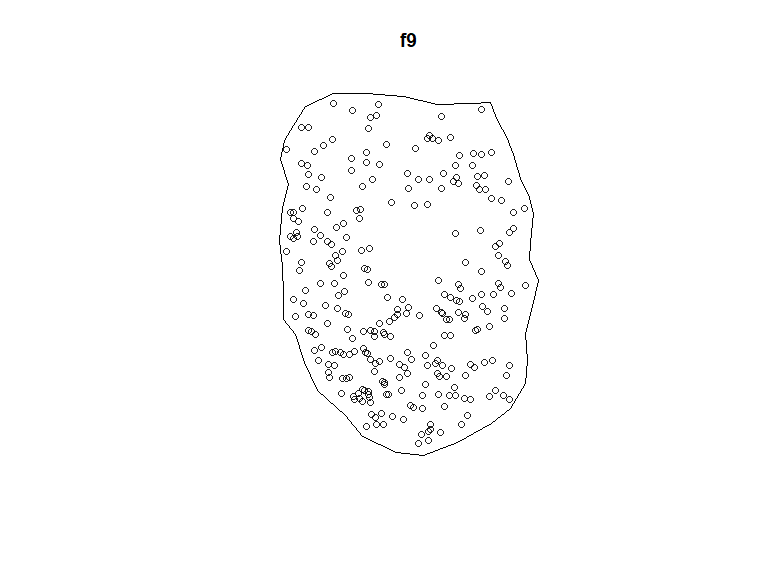 QUESTION #2: If I have not violated any assumptions of the HS test, is it possible that the scale of environmental heterogeneity and the scale of interpoint interaction are too similar for me to detect the clustering? QUESTION #3: From what you can see, is all of this confusion caused by something really stupid in my code...? I just want to chime in with @whuber and thank you for a well written question. I can add that the null hypothesis of the Hopkins-Skellam test is CSR, so your result is consistent with your other findings: Your pattern is not CSR. The apparent clustering could also be explained by inhomogeneity – even though the Hopkins-Skellam test should be less sensitive to this problem of distinguishing clustering and inhomogeneity it is still a problem. It may well be an inhomogeneous Poisson process that generated your pattern. 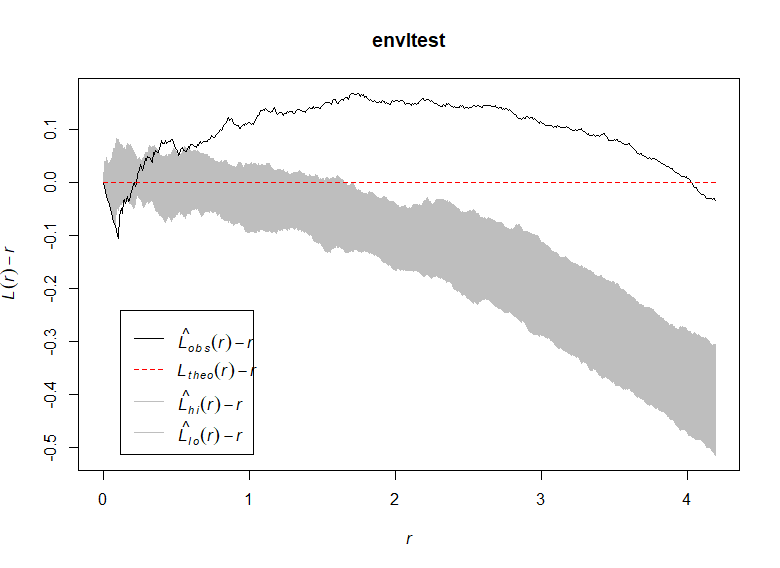 However, to my surprise the p-value of the approximate test is quite different from the Monte Carlo test, so maybe simply setting method = "MonteCarlo" will give you another result and even yield non-significance in your case? Not the answer you're looking for? Browse other questions tagged spatial point-process or ask your own question. Test for summary funtions: KS or envelope tests? 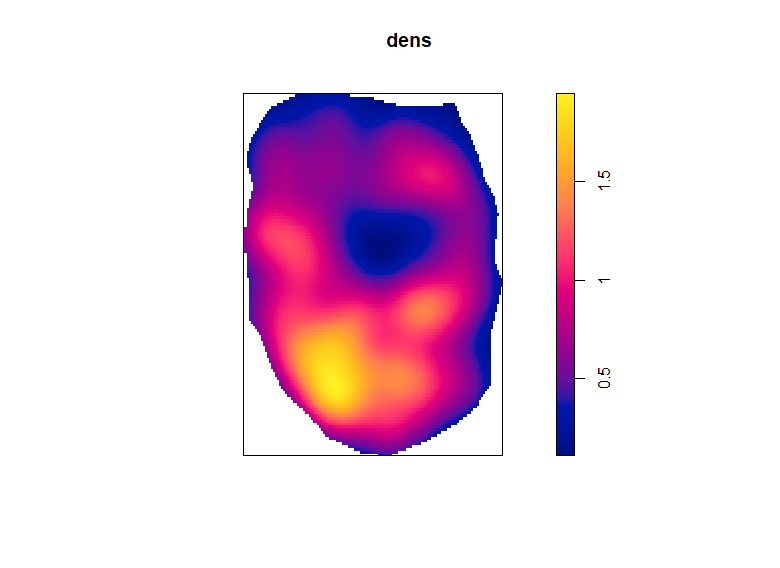 Mean Nearest Neighbor test vs Nearest Neighbor function envelope test?